1. The Federal Democratic Republic of Nepal will have eight provinces based on five criteria of identity and four criteria of capability. Several media houses in Nepal and India published this story following the 16 point agreement and decision to divide Nepal into eight federal states. Jun 8, 2015-The four major political parties on Monday night inked a 16-point pact with the understanding to federate the country into eight federal provinces, paving the way for the promulgation of new constitution. Kathmandu, June 8 (Reuters): Feuding political parties said today they had agreed to split Nepal into eight federal provinces, ending years of stalemate over the new Constitution intended to stabilise the country after civil war and the abolition of its monarchy. Two months later, on August 8, the major political parties reached another understanding to federate the country into six states in the new constitution. Most media outlets published this story without raising any flag about why the number of states was changed from eight to six. The first point in 16 point agreement was violated to reach yet another “understanding” but anyone familiar with Nepali politics knows this is the norm. On Jan 20, 2010, State Reconstruction Committee of Constituent Assembly had passed a federal structure of 14 states supported by UCPNM and UML. Similarly, on Jan 19, 2012, State Reconstruction Commission proposed two separate federal structures, one with 11 states (including one non territorial state) and another with 6 states. Read our article, “The Federal Map That Madhesis and Tharus Want” for more. 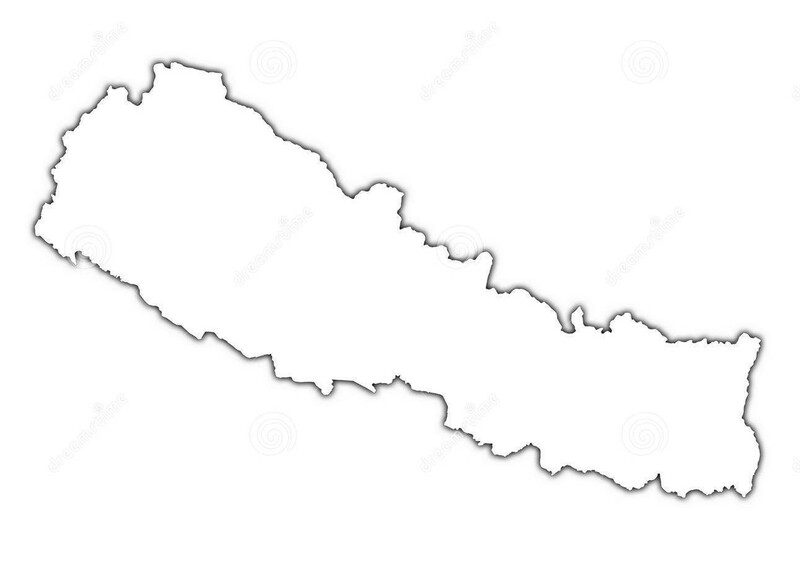 Below are some of the opening statements and headlines from Nepal’s major media houses following a yet another “understanding” among four major parties to divide Nepal into six federal states. Aug 8, 2015 – Major political parties have reached an understanding to federate the country into six states in the new constitution. Saturday, August 8th, 2015 – After days of closed-door negotiations, the NC, the UML, the UCPN (M) and the MJF (D) on Saturday agreed to carve out six federal provinces in Nepal. 09 Aug 2015 – Saturday’s discussion between the major political parties, which among others, agreed on forming six federal states has received varied response from the general public. Our obedient and jubilant Nepali media obliged to publish every time an agreement was reached without much inquiry. All seemed normal until major protests erupted in the West, Karnali region, and the Terai. The rulers in Kathmandu thought the protests could be quelled by using force but that only worsened it. A series of violent protests in Baglung, Rukum, Surkhet, Jumla and Karnali region caught attention of the rulers in Kathmandu. On August 22, the three major parties (MJF-D quit at this point) reached yet another understanding in which they decided to split state 6 into two – state 6 and 7. No one questioned about the merits of this decision, most felt a sense of relief because violence in the West ended following this decision. State 6 consisted of Trans-Karnali and state 7 consisted of the Far-West. The residents of both Karnali and Far-Western region wanted their own states, reasons which I have no clue about. These regions are mere administrative regions that were arbitrarily created by the “beloved” King Mahendra but over time perhaps residents developed a sense of identity or pride. That is the best reasoning I can think of. Interestingly, when three people died in Surkhet, this caught attention of the rulers in Kathmandu and they increased the number of federal states from six to seven (thankfully). More than a month later, 34 days to be specific, more than 40 Nepalis have died including policemen. Nepalis are tired of this violence and want this to end. A notable Nepali writer and intellectual shared a post on Twitter that resonates with many Nepalis. 34 people have been killed in the last 33 days in Nepal. It’s time for a negotiated settlement on Dalit, women, Indigenous & Madhesi rights. Most of these deaths have occurred in the Terai region but the rulers in Kathmandu feel isolated from their effects and have therefore, continued to ignore the demands of minorities, women, Madhesis and Tharus. The rulers in Kathmandu publicly advocate for dialogue but have deployed Nepal Army at the same time to suppress the agitation. Similarly, they publicly advocate for restraint among agitating parties but have instructed security personnel (Nepal Police and Armed Police Force) to use excessive force against protesters, which has resulted in a few civilian deaths almost daily. Politicians are notorious for exercising double standards but Nepali politicians take the prize. Bijay Gachhedar, the leader of Madhesi Janadhikar Forum-Democratic (MJF-D) who walked out of the four party agreement has reiterated that adopting an eight state model would end the struggle by Madhesis and Tharus. In other words, if the number 1 point in 16 point agreement between the four major parties is followed and Nepal is divided into eight states, all of the violent protests, human rights violations by Nepal Police, and struggle of agitating parties will come to an end.